Sufi Poet Bedil Bekas Faqir Qadir Bux Bedil 1814 1230 Hijri better known by his nom de plume Bedil (one bereft of heart) , was a Sufi Poet and scholar of great stature.After Shah Abdul Latif Bhittai and Sachal Sarmast other two stars that shone on the firmament of Sindhi poetry and who could measure up to them in excellence, were the father and son – Bedil and Bekas. They wrote poetry both in Sindhi and Persian. Bedil was well versed in a number of languages, Sindhi, Persian, Urdu, Arabic and Hindi. He has written poetry in Sindhi, Siraiki, Urdu, Persian and even in Hindi. Bedil was born to a very pious family of Rohri.His father Khalifo Muhammad Mohsun was a disciple of Sayed Mir Janullah Shah Rizvi who himself was a great saint of his time, highly venerated and was chief of forty cardinals of Sufi Shah Inayat Shaheed of Jhok Shareef.Thus Bedil was brought up in such a enlightened environment under the guidance of Mir Sahib himself.On his birth he was named Abdul Qadir but he preferred to be called Qadir Bux. He was a staunch Muslim who moulded his life strictly according to the laws of Shariah. 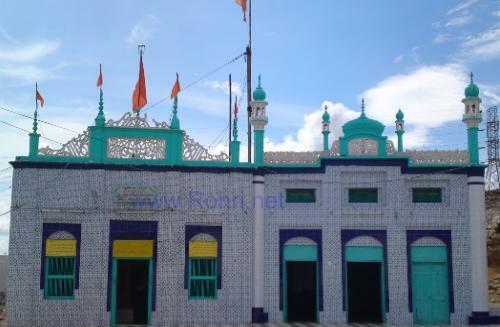 He was very simple and frugal in his style of living and gave away whatever he received, to the needy.He followed the path of Ishqu Majazi (Platonic love) to attain the heights of Ishqu Haqiqi (spiritual love) as dictated by Mystic doctrine.He was a devotee of Lal Shahbaz Qalandar of Sehwan also. Although he had deformity in one foot, yet he undertook long journeys to Sehwan to pay his homage to the Saint’s Shrine. He went to Jhok Sharif to pay homage to shrine of Sufi Shah Inayat Shaheed and also to Daraza, to visit the shrine of Sachal Sarmast. Fakir Muhammad Muhsin “Beqas” (1275 Hijri / 1958 A.D. - 1298 Hijri / 1882 A.D.